in 2004: Augusta Non-Pro Classic Champion; finalist in the Memphis Non-Pro Classic. 2003 Zacks Bet, f. by Bet On Me 498. $5,383: NCHA COA. Dam of-Smooth Bet (c. by Smooth As A Cat). 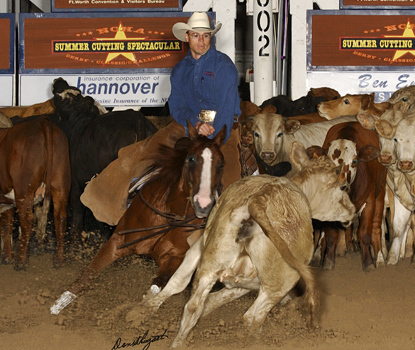 $1,723: 3rd, Abilene Spectacular Limited Open Derby. 2004 EXZACKAREY, g. by Dual Rey. $43,610: 4th, NCHA Amateur Derby; 3rd, NCHA Primetime Amateur Futurity; split 3rd, San Antonio Open Classic. 2005 LENA REY ZACK, f. by Dual Rey. 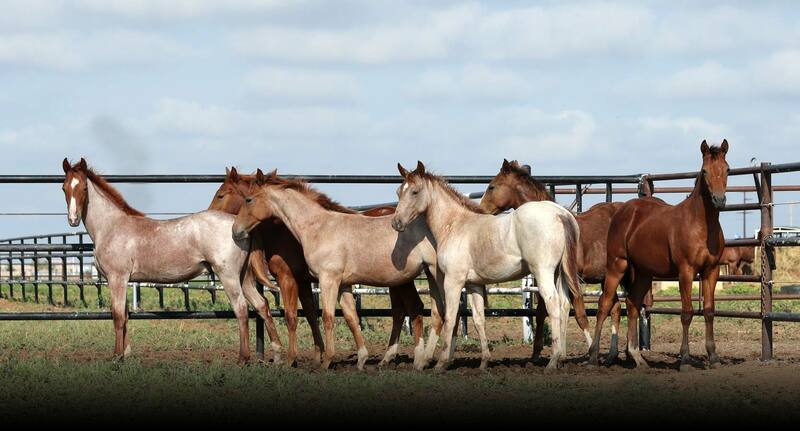 $119,107: NCHA Super Stakes Non-Pro Classic Co-Champion; Breeders Inv. $10,000 Ltd Open Derby Champion; 4th, Tunica Non-Pro Classic; split 6th, Brazos Bash Non-Pro Clas- sic and Brazos Bash Non-Pro Derby. Dam of– ONE TIME OR ANOTHER (g. by One Time Pepto). NCHA earner of $10,916. 2005 ZACK AND BLUE, g. by Mecom Blue. $116,093 and 83.5 AQHA points: NCHA $3,000 Novice World Champion; NCHA Silver Award; PCCHA $3,000 Novice Champion; 6th, AQHA World Amateur Cutting; NCHA Western Nationals Open Champion; NCHA Western Nationals $3,000 Novice Champion; Open & Amateur ROM. 2006 JACKIES CHULA, f. by Chula Dual. $59,178: 5th, Cotton Stakes $200,000 Limited Non-Pro Classic, finalist Non-Pro; Congress Open Cutting Classic finalist; finalist in the Tunica Non-Pro & Limited Non-Pro Classics, etc. 2006 Zacked Up Chula, g. by Chula Dual. 2007 Zackrey Blue, f. by Mecom Blue. 2008 Mecom Lena, f. by Mecom Blue. $9,693: 3rd, Alberta Silver Slate Open Derby II; 3rd, Canadian CHA $3,000 Novice Top Ten. 2009 SMOOTH AS LENA, f. by Smooth As A Cat. $37,247: Breeders Inv. Amateur Derby Co-Reserve Champion; split 4th, Brazos Bash Open Fut. 2009 Zacks Pepto, g. by Hes A Peptospoonful. 2011 Third Zack, c. by Third Cutting. $3,213: “The Non-Pro” 4-Year-Old Limited Open Co-Reserve Champion and finalist Open. 2011 Zacks Boon San, c. by Boon San. $1,392: 4th, Arizona Open Futurity. 2012 Rockin Zack, g. by Rockin W.
$6,392: finalist, 2018 Bonanza Open Classic; top 10, Bonanza Cutting Classic $100,000 Sr Amateur. 2013 LENAS ROCKIN, f. by Rockin W.
$10,345: 5th, 2017 Calgary Stampede Wrangler Open Derby, Reserve in the Non-Pro. 2013 Rockin My Lena, c. by Rockin W.
2013 Zacks Rockin, c. by Rockin W.
2014 Rockin Maxine, f. by Rockin W.
2015 Zacks Lena Rocks, g. by Rockin W.
2015 Zacks Rockin Lena, f. by Rockin W.
2016 Lenas A Rockin, f. by Rockin W.